Update May 5, 2015: Since writing this post, a new plugin Archived Post Status has come out to fill in this exact gap. The new “Archived” status works just like “Draft,” as described below, but is made for this single purpose. I was so excited by this plugin that I added explicit support for it in Post Status Menu Items. Don’t delete something; make it a draft. 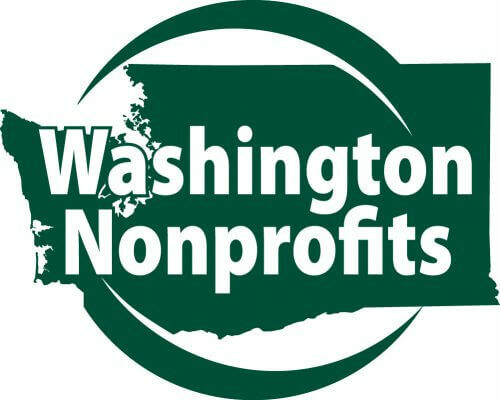 Internal miscommunication – One editor deleted something. Another wished they hadn’t. Recurring content – An event is only relevant for a few months a year…until it comes again next year. “What did I say?” – An old page you took down might contain language that’s re-usable. Audit! – For one reason or another, you need records of what your website said last year. In each case, what’s important is not that the content doesn’t exist anymore—literally—but that website visitors can’t access it. Storage is cheap and your time is not, so keep the posts, just don’t make them accessible. 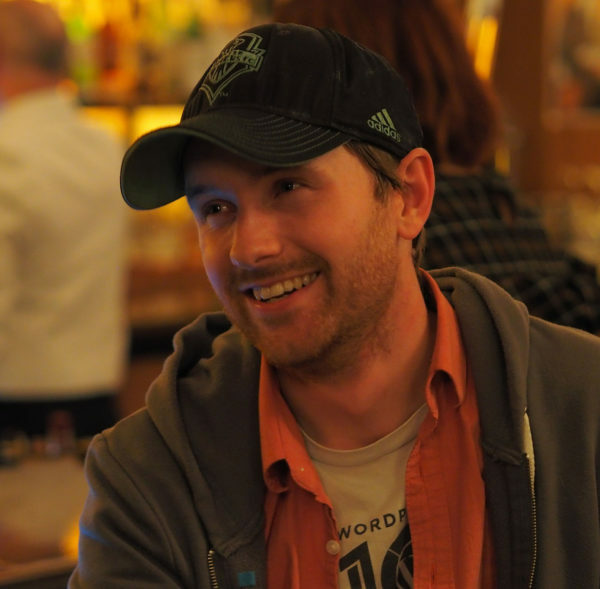 In the WordPress interface, ignoring old content is much easier than rewriting lost content. That’s where the draft comes in. 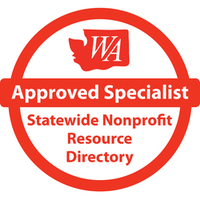 Out of that whole list, website visitors can only see content with the “Published” status. All other statuses indicate editorial states of content that only site administrators can see and use. In this post, we’re just focusing on Draft (good! ), Published (good! ), and Trashed (bad!). 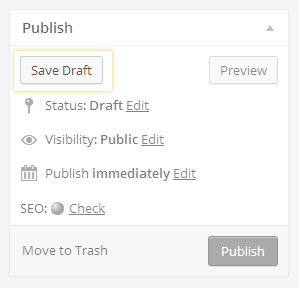 Alternately, you can click the “Save Draft” button to keep the post private in WordPress for later use. When your page reloads, you’ll see the first of the above screenshots again and use the “Save Draft” button to save changes without making the page publicly viewable. That’s the basics and all you need to know. However, there are a few plugins that make managing all these posts a little easier. WordPress makes it possible to see only posts of one status, but it’s not as easy as I wanted, so a few years ago, I built the Post Status Menu Items plugin for WordPress. 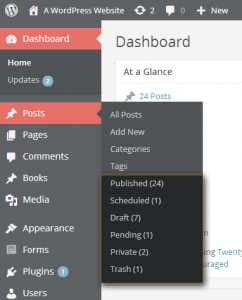 The plugin adds each status to your WordPress admin menus so you easily view only Published posts or only Draft posts. Once you stop deleting posts and start keeping old ones, you may find this simple plugin makes it a little easier to manage your growing lists of content in the WordPress backend. It also comes with a couple other features to add the statuses to your “At a Glance” dashboard widget and show icons for each status in the “All Posts” screen. If you really want to get fancy, you may want to create a new status for previously-published-now-unpublished posts. 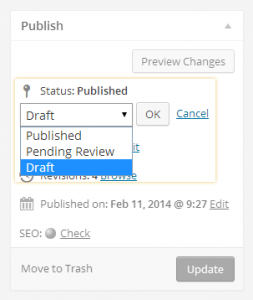 You might call this custom status “Deleted,” “Archived,” or “Removed.” It would function just list the “Draft” status that comes with WordPress but would allow you to separate posts that you’re actively editing before publishing from the old posts. There is a great plugin called Edit Flow that does this! Edit Flow comes with a set of “modules” to make managing site content easier including “Custom Statuses.” Using Edit Flow’s Custom Statuses feature, you can make that “Archived” status to use when removing content from your public site. Better yet, Post Status Menu Items will recognize that new status immediately and add it to the menu for you! That may seem like a lot to take it, but don’t forget the main point: Don’t delete something; make it a draft. The advanced stuff can come later, but start keeping your old content today. You’ll never know when you need it. I had read that around 2012, a lot of people noticed that previously-published Draft status posts were still publicly viewable by anyone with the URL. Do you know if this is still a problem? Tracey, Thanks for commenting. I can’t say I remember that issue back then. While I know that it’s easy to make a draft post publicly viewable if you wanted to, I hadn’t heard that about an actual bug in core WordPress. What particularly are you wondering about the permalinks? Thank you for the blog.I wonder if changing the page status from Published to draft will not hurt the website SEO or it’s ranking?? I’d say you generally should only be removing old and unpopular pages in this manner. If the page you’re removing has a lot of traffic and is important to your search presence, then you’ll need to set up a custom 301 redirect to a new, appropriate page.